Join us this Tuesday night at 8:00 pm for an eye opening pre-Passover class. Learn about the powerful ideas contained within the Passover Seder and their relevance to your modern life. An important overview of the how-to's of Passover observance will also be offered. There is a Torah prohibition against owning Chametz (product made from leavened or fermented grain). Because we can't always get rid of all Chametz, there is a simple solution which involves selling our Chametz to someone who isn't Jewish for the duration of Passover. Time to RSVP for the Seder! Space is quickly filling up for the Bay Area Community Seder! The Seder will be held on the first night of Passover, Monday, April 14, 2014 in League City. Join us for a beautiful Passover Seder complete with fine wine, hand-made Shmurah Matzah and a delicious holiday dinner. Featuring an interactive reading of the Haggadah, enhanced by fascinating, relevant insights and joyful song. Join us for the Community Seder! 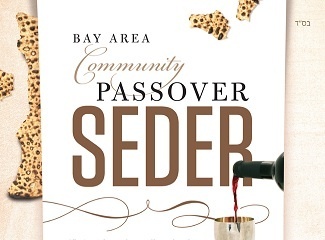 Reservations are now open for the Bay Area Community Seder to be held on the first night of Passover, Monday, April 14, 2014 in League City. 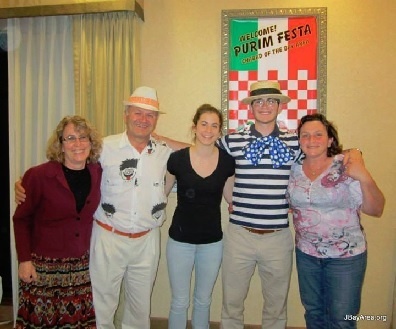 A great time was had by all at Purim Festa held at Comfort Suites this past Sunday! Highlights of the event included a delicious Italian style buffet dinner, a game show, crafting and the Megillah reading. Sponsors: Ruthy & Ayal Anis, Ida & Boris Berezin, Ida Diamond, Alicia Leamy and Art Sadin. Volunteers: Malka & Dovber Coates, Tina Paul, Sasson Yerushalmi, Alma Townsend and Kari Zilkenat. Check out the photos at: www.JBayArea.org or www.Facebook.com/JBayArea. Discover the messages contained within the story, customs and rituals of the Passover Seder, and see how they can add meaning and relevance to your life. The Purim dinner is this Sunday -- If you have not yet reserved, please do so as soon as possible at www.JBayArea.org. 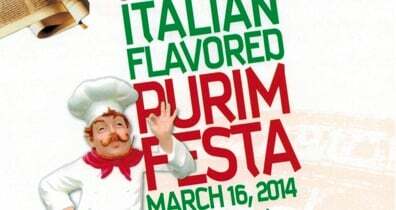 'Italian Flavored Purim Festa' will be held on PURIM DAY, Sunday, March 16, 5:30 pm at the Comfort Suites on N. Texas Ave in Webster. Young and old are invited to come out for a fun holiday evening featuring a delicious Italian dinner, an animated Megillah reading, a family game show, masquerading, hands on crafts and more! Any additional donation/sponsorship is very appreciated and is what makes these beautiful events possible. Join our grand Purim Party: 'Italian Flavored Purim Festa' to enjoy the Purim Feast in all its glory! Advance RSVP kindly requested: click here for more info or to reserve. Save the date: Bay Area Community Seder! We are pleased to announce that we will once again be hosting a meaningful and delicious Passover Seder for the entire Bay Area Jewish community! Save the date: First night of Passover, Monday, April 14, 2014. (An option to join for the 2nd Seder will also available). Join us tomorrow, Saturday, March 8, for a Shabbat morning service and Kiddush lunch. Service begins at 10:00 am, and includes beautiful melodies and an interactive Torah discussion. A delicious buffet Kiddush lunch will be served at the conclusion of the service. The first of the Purim observances is Fast of Esther which commemorates Esther's request to have all of the Jewish People fast for three days before she would risk her life and approach the King Achashveirosh with her request to save the Jews. In most years this fast is on the day before Purim, but when Purim falls on a Sunday, since we may not fast on Shabbat (with the exception of Yom Kippur), the fast is pushed back to the Thursday prior. Time to RSVP for the big Purim dinner! The Purim dinner is just over a week away - Time to reserve! Don't miss out on this first class event! 'Italian Flavored Purim Festa' will be held on PURIM DAY, Sunday, March 16, 5:30 pm at the elegant Comfort Suites on N. Texas Ave in Webster. Young and old are invited to come out for a fun holiday evening featuring a delicious Italian dinner, an animated Megillah reading, an all-new family game show, masquerading, hands on crafts and more!